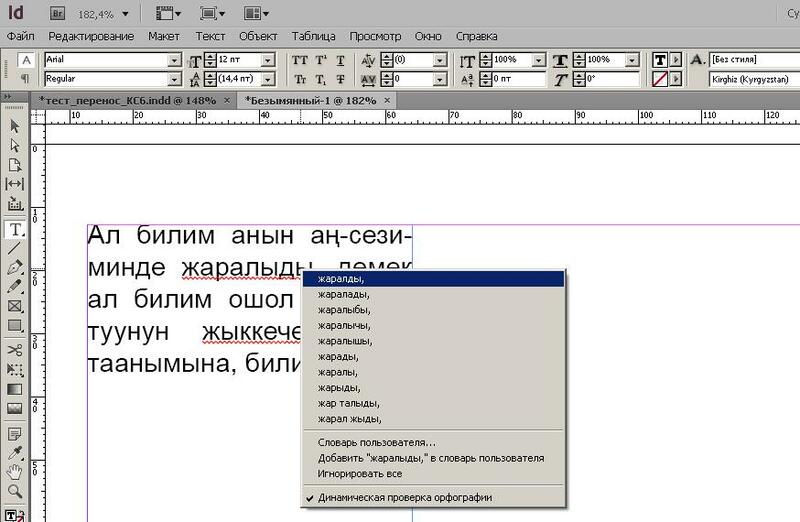 Created Plug-in spell checking and hyphenation for Kyrgyz language for Adobe InDesign CS6. According to numerous requests from users who have already switched to the new version – InDesign CS6 created a plugin for this version. Install the plugin as well as for previous versions. Download and use for free on health.